We don't post that many stuff in English, here there are some links that I do believe they are worth reading and visiting. I still haven't recovered completely from eating in Sichuan and Chongqing. I wake up in the middle of the night with crippling bouts of heartburn. My guts have been torn to shreds by chilies—I've exercised China's bring-your-own-toilet-paper policy in more places than I care to admit. When I sweat, my pores ooze out pure capsaicin. Adri long ago shifted to a basic subsistence diet of plain crackers, dried fruit, and milk tea. What are those things, Adri and I kept asking as we walked past large shallow pans filled with cubes of some sort of vegetable coated in a dark red sauce studded with chilies and scallions. Turnips? Potatoes? 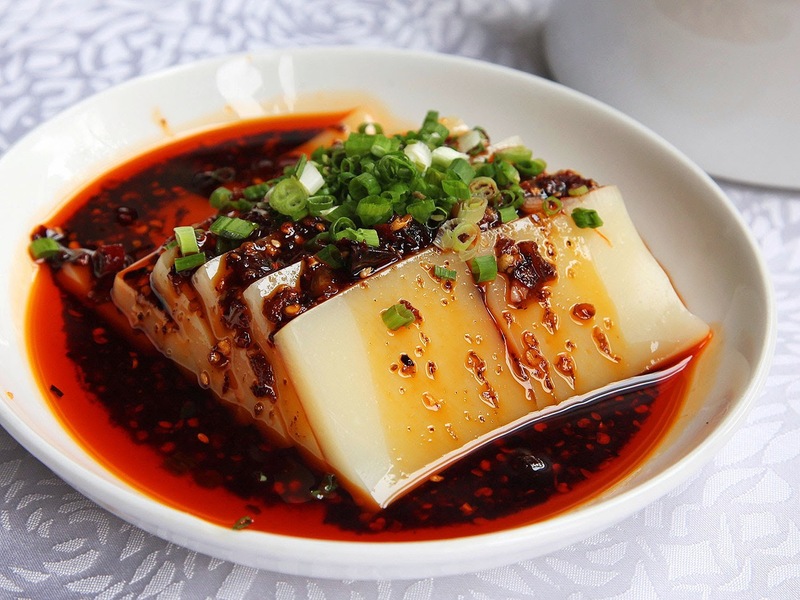 Turns out those cubes were actually liangfen, a tofu-like jelly made with fresh green bean starch. It also happens to be one of my favorite foods. To be frank, I've only ever had it served cold, usually dressed with a fiery chili sauce, Sichuan style. This hot incarnation was a bit of a minor revelation. The cubes hold heat—both the kind measured in degrees and Scoville units—remarkably well, and actually manage to get nice and crispy around the edges. 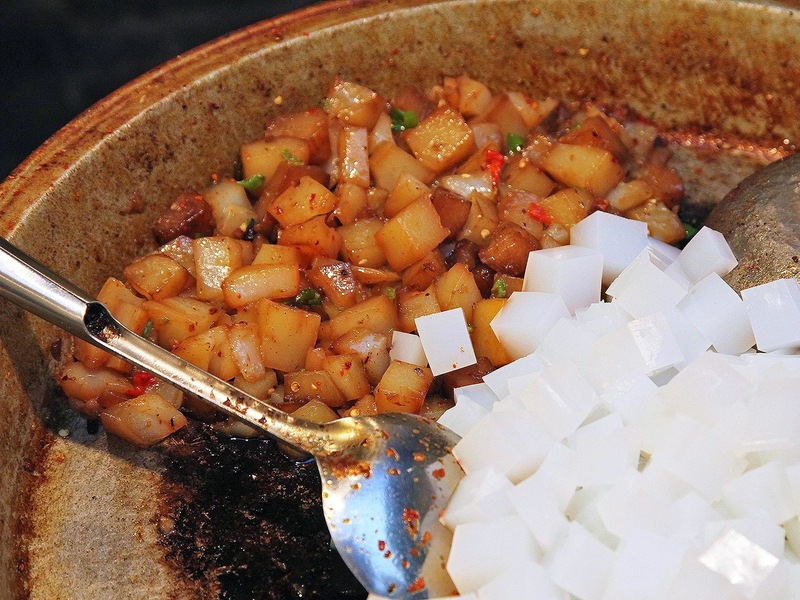 Like the potatoes, this stuff is served in small paper bowls made for snacking as you walk.